Mobile technology is advancing rapidly, the screens has increasing resolution while devices are reducing its size. That’s what most of the market wants, and all companies follow the same trends. However, this is a serious issue for people who have some kind of visual impairment. Android in general offers some options to increase font size and simplify menus, but now Samsung has taken a step forward in that matter. Friday, the company announced three accessories that fit in the Galaxy Advance Core and are designed for people with visual impairment. They are an ultrasonic cover, an optical scanner and the voice label. Ultrasonic cover. This ultrasonic cover can detect obstacles and alert you with vibration. It has sensitivity up to 2 meters away, and it can help people with visual difficulties to detect obstacles in its surroundings. Optical scan. It is an optical sensor that is activated automatically when it detects any text. It scans and identifies the written message and reads it aloud to the user. Voice Labels. You can record voice notes and labels and associate them with objects using NFC technology. 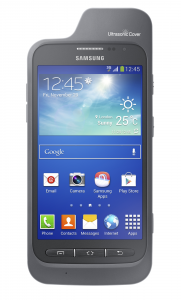 The Core Galaxy Advance is an smartphone with a WVGA TFT 4.7-inch screen. It runs a dual-core Krait processor at 1.2 GHz and 1GB of RAM. It includes 8 GB of internal memory expandable to 64 GB via microSD card. The device includes a 5 MP rear camera and a VGA front one. It is powered by a 2,000 mAh battery and runs Android 4.2 Jelly Bean. It also comes with the typical applications of the Galaxy series, such as the S Voice, S Translator, Sound & Shot, Group Play and Easy Mod. These usability accessories are sold separately and they are already available to users of the Galaxy Core Advance. 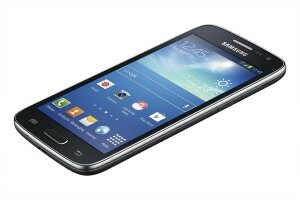 Samsung has announced its plans to extend the compatibility to other devices from the Galaxy series.